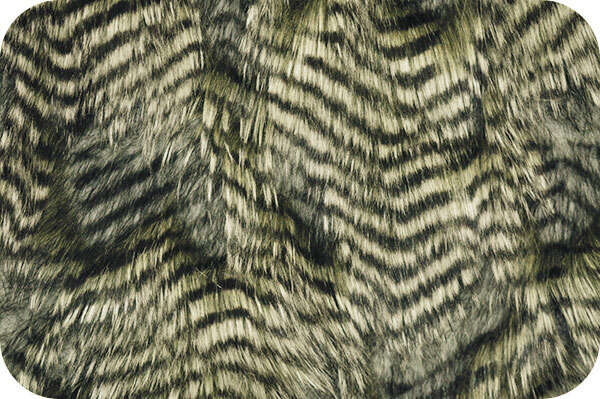 Two versions of this striking fake fur. The Brown option has base furs that are a warm brown color and about about 3/4". The stripes alternated between darker brown and a warm golden tan. The Black version has a black base with grey accents. This fake fur is priced to move. No additional discounts apply.